Education, which begins at womb and end at tomb, is the only panacea to all ills confronting any society, said senior journalist from Arunachal Pradesh Pradeep Kumar, in his address to concluding function of three-day foundation day of Bhaskar Gyanpeeth here today. Kumar, said that the institute has been giving hopes to hopeless with a purpose to lead a dignified life, and completed three decades today. The students apart of getting formal education they are given to help them join the national mainstream. The students were given vocational training and various socio-cultural activities that had brought a steady change. The students drew everyone’s attention within no time with their multi-faceted excellent performances while taking part in any event in Arunachal Pradesh, making the impacts of their education visible. 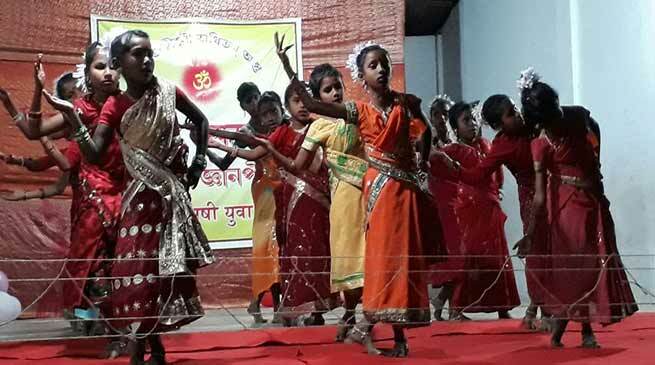 They did the same by presenting a colourful cultural programme under the guidance of principal Nehru Khadia.